The weather's turned cold and rainy as Ohio's fall makes its appearance. Fluffy D'Tail, the "outside" kitty is making his winter move-in without as much fuss as usual. The kids have shared their first back to school viral/cold/yuck bug with the entire house--and (luckily) we had a full weekend free from extracurricular activities. 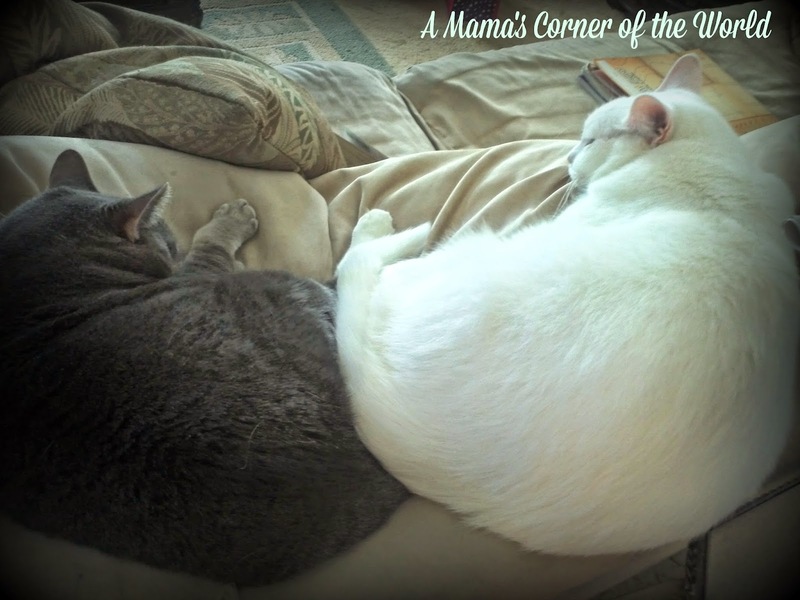 Thought I would share some photos of lazy days from our little corner of the world for this week's Wordless Wednesday link-up. These two are constant sleeping partners when Fluff is indoors. Usually, I find Fluff stretched out over the dog--or the dog's paws over poor Fluffy. 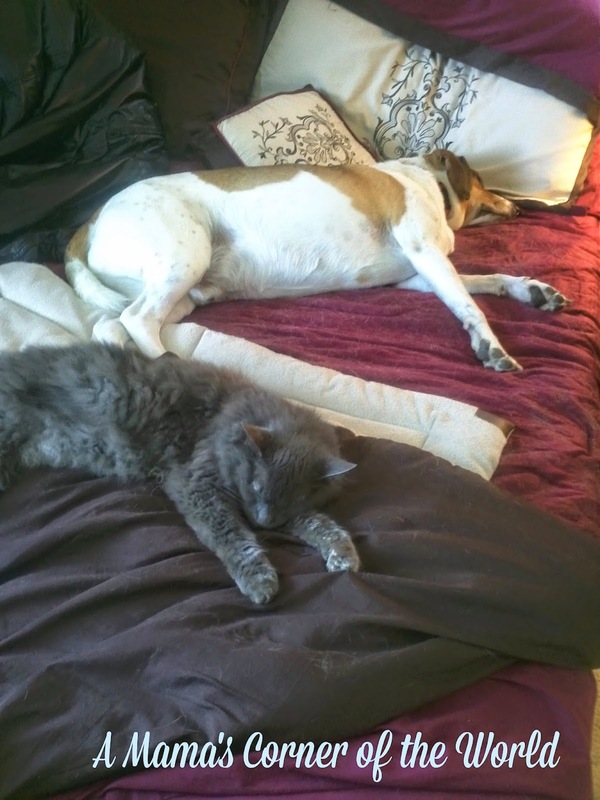 Of course, Fluff doesn't seem to mind or notice and Max just loves having "someone" to sleep with him! This is a rare shot of Elsa sleeping without a kid! Elsa and Lea the cat (a.k.a the Loofa with Legs) generally spend the day trying to avoid each other--so I can only assume that the draw to the corner of the sofa (prime kitty cat real-estate in this house) was simply stronger than their dislike of each other! The Girls....Ready to NOT be Lazy..
After several days of coughs and fevers--followed by make up work from school--the girls were excited to NOT feel like sleeping. They only made it through lunch and a few hours at the mall though before they were worn out....and ready to head home for a movie and bed. Hopefully, after our lazy days--we'll be ready to tackle this week in our true, chaotic, "time to run in 15 different directions" fashion! A Benjamin Franklin biography project, a school orchestra concert, a birthday party, a Halloween party, and a dance competition should return our focus to the "real world"....whether I'm ready or not! How was your week? 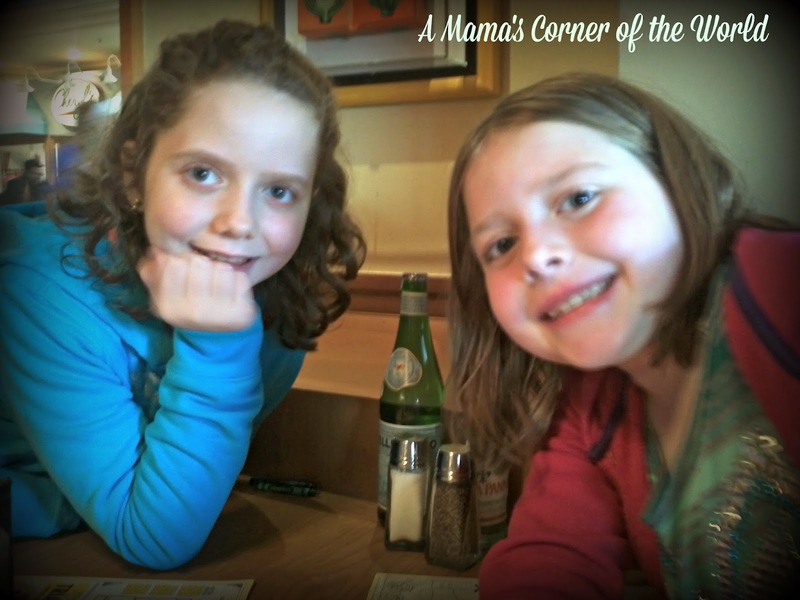 It's your turn to link up your latest Wordless Wednesday posts! I have a matching cat - and 2-3 of our 4 sleep together too. Hope the kids get over the yucky stuff. Cats are so funny, I have two that have never gotten along well, I have yet to see them sleeping closer than three feet. Hope the kids feel better soon, Im battling the flu for 9 days. Some days I'd love to swap places with my snoozing animals. I could definitely go for one of those lazy days!